Daddy, What is Stop Motion? 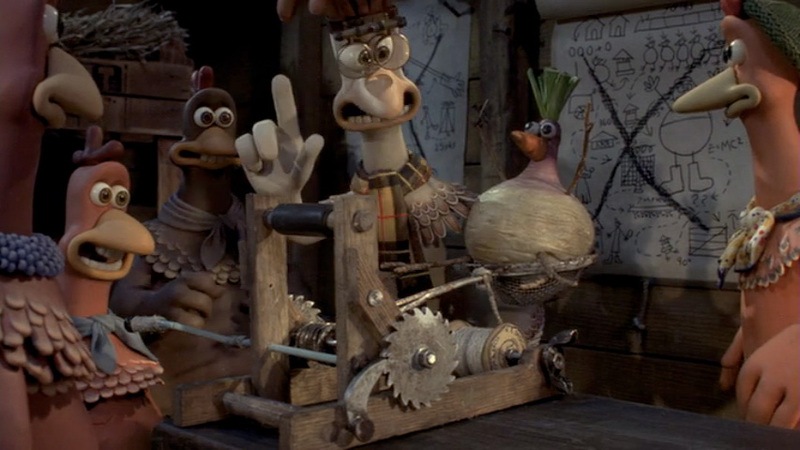 My kids love Chicken Run, the masterpiece of stop motion animation by Aardman, the studio responsible for the equally brilliant Wallace & Gromit series. But, being that Samantha and Kristen are six and four years old respectively, it’s hard to convey to them how such films are created. For weeks, the girls have prompted me with such questions as "How do they make the chickens move if they aren’t real?" and "Do they have batteries?" They’ve seen the documentaries and marveled at miniaturized sets, characters, and the dozens of interchangeable heads that allow each character to possess a myriad of facial expressions. Still, they don’t really understand exactly what the process behind stop motion is.